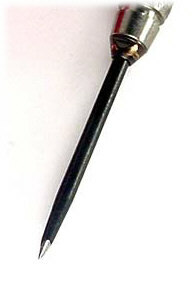 Whether you're a beginner, or an experienced darter - you know the value of well de-burred darts. 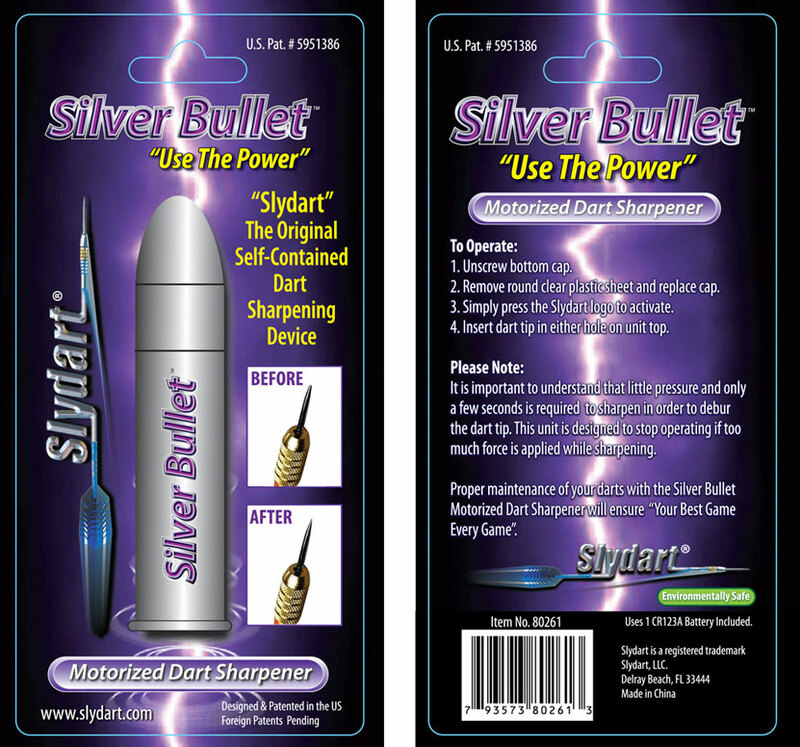 With the New Silver Bullet from SlyDart, you can have tip-top points all the time! 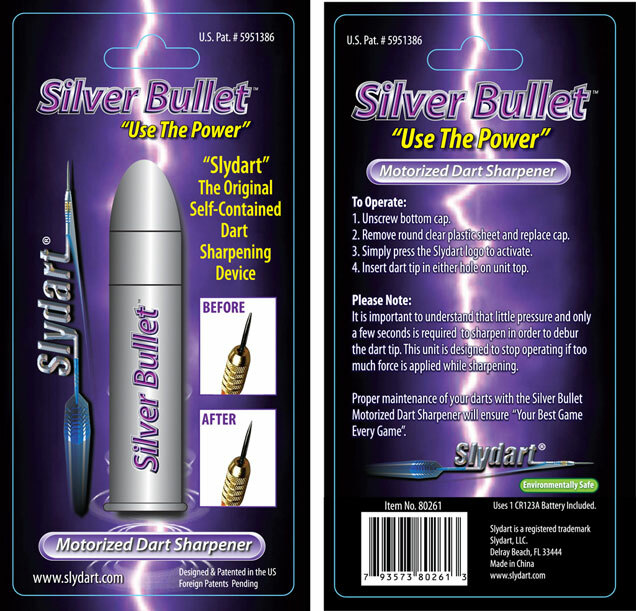 It quickly sharpens darts with one of two precise angles, and efficiently de-burrs darts in just a few seconds. 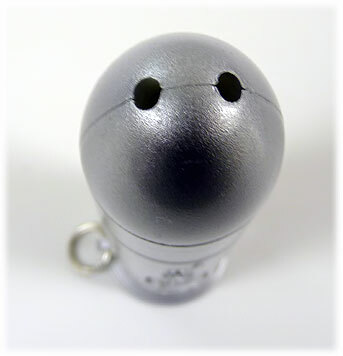 Deburs & un-dulls in seconds! 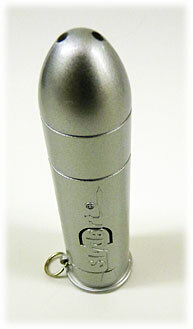 the Silver Bullet measures 3-3/4" x 1"
Spare Battery for the Bullet : $2.00 ea. You may order No More than Three at a time. No International or Military Mail Orders, please.